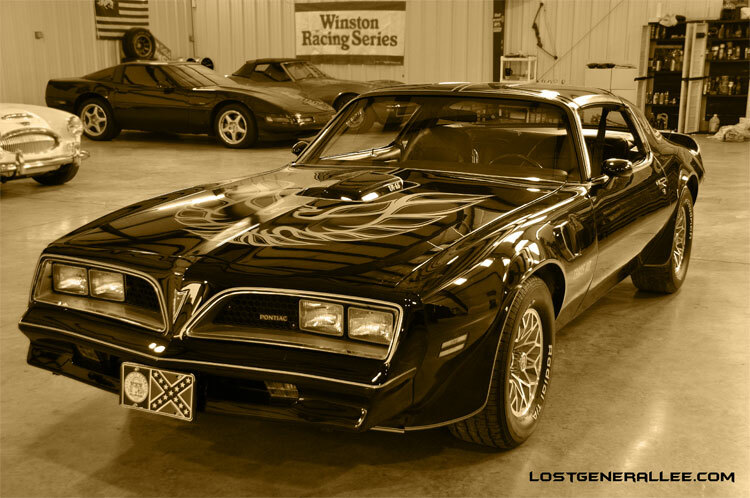 "East Bound and Down" comes to mind everytime you lay eyes on this beautiful car. 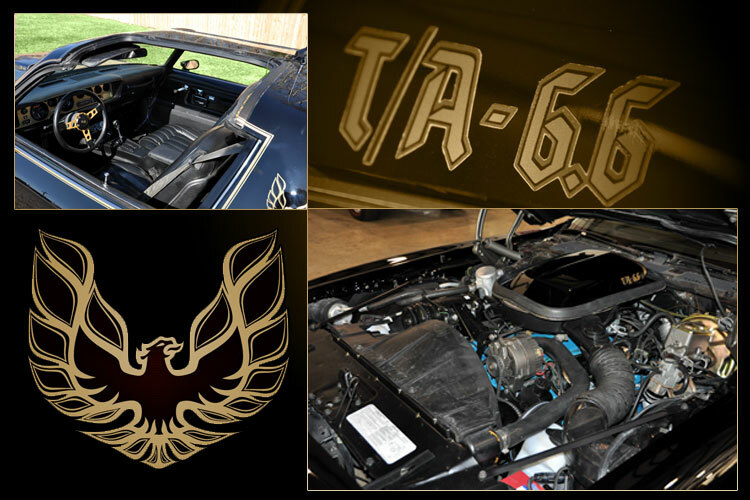 Purchased in early 2009 from buildamusclecar.com in Nebraska - Mark's 1977 Bandit Trans Am is identical to the one used in every Southerner's favorite movie "Smokey and the Bandit". Purchased with only 88,000 original miles - Mark is loving this car, and is surprised at its quietness and smoothness on the open road. Mark was able to locate the extremely rare and hard to find optional factory CB - and the car features a new stripe kit, freshly painted engine (blue) and completely refinished wheels. The car sports the correct Hurst T-Tops just like the original from the film. All the stripes are new on the car except for the bird - which is in perfect shape. Mark is giving some consideration to adding LED rear taillights. Personalized Arkansas tags are in the works. Yup - the license plate is there! 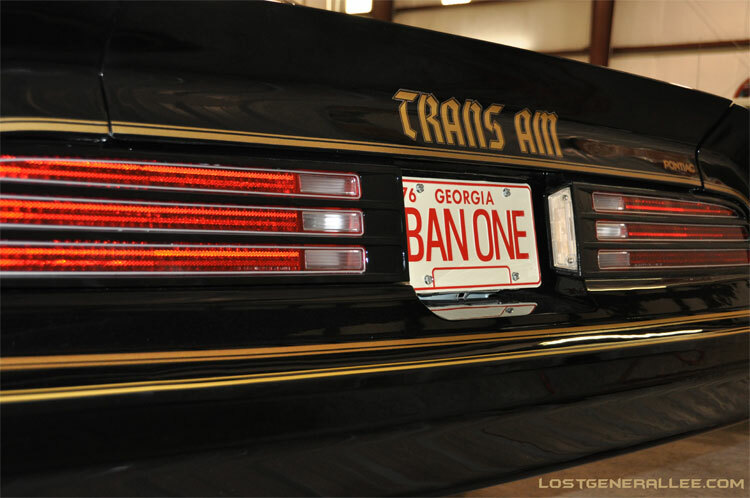 The "old" Georgia license plate complete with confederate flag as seen in the movie. Texarkana is only about two hours away from Mark - so completing a beer run if necessary would be no problem at all. 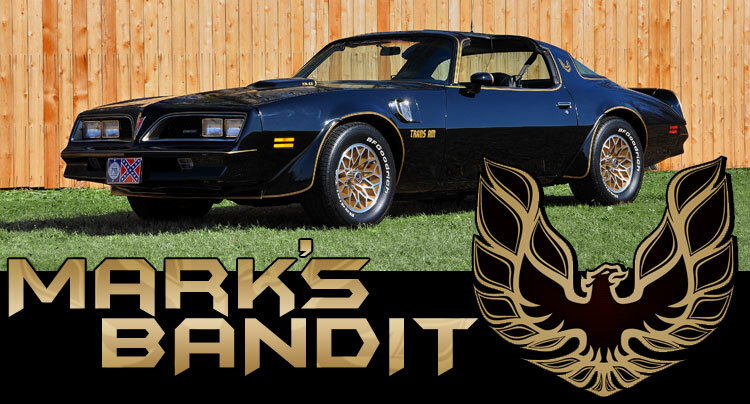 Questions about Mark's Bandit car? Email him here.